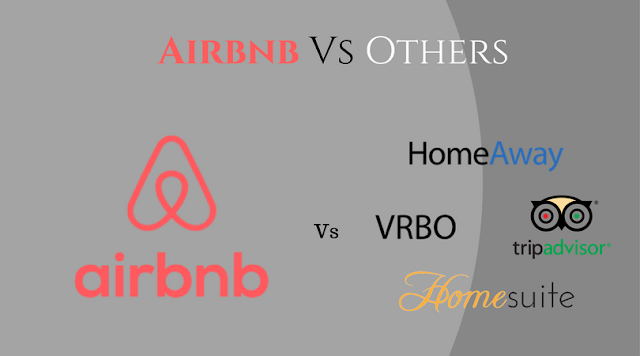 Popular vacation rental websites like HomeAway, VRBO are born before Airbnb but did not reach the search like “Airbnb ”. Since Airbnb a recent arrival to market, due to its customer focused travel, it acquired huge influence, brand awareness and the trust among users.In the previous blog, we have seen the secrets which made Airbnb - vacation rental business a great success.By following, Let's discuss the strategies made “Airbnb ” a peerless. Proverb of Airbnb: As cited in the previous blog, Motto of Airbnb is “Selling the experience rather than the Venue”. Airbnb keeps pointing out making the things which make customer vacation happy and joyful.Throughout the easy layout, it makes simple finding the location with feasible property types, price, special & holiday events and more. For higher engagement, Airbnb constantly renovates their layout to make sure they are overwhelming on their niches. Why Airbnb is the first choice for vacation? One of the topmost features of Airbnb is “The day of check in”. The way this feature accommodates a guest is awesome, sends the rental amount to host once a guest check-in. So if there is any problem with the host, Airbnb can make an attempt to rebook you at any near place else you can refund regardless of the host.In HomeAway /VRBO, If there is a problem with the rental the guest have to handle it separately with the host. Also, Airbnb assists with dispute system where guest can contact Airbnb if any problem exists regarding a book, re-book and cancel the vacation.Investing in professional and quality pictures of places, community standard, adequate pricing, brand name and friendly assistance are the Airbnb's one-off from other vacation rentals. What makes Airbnb a distinct from others? Airbnb has a balanced and authentic review system to evaluate the services and offers. Airbnb offers a host full space rentals and shared space rentals where H/V allows only full space rentals. In contrast, HomeAway and VRBO are working like online classifieds where vacation rental owners have to pay to advertise their space.The demographics of Airbnb as said earlier, which are good and different for city breaks, short stays & individual room hosting. Related, Complete overview of Airbnb's business & revenue model Why vacation rental is on hot? Recently, The tech giant Google aims of the booming vacation rental & home sharing market and has started including the listings via its hotel search feature.When the user looks for a hotel in a specific location, a page showing a scroll-down list of rentals where the user can go ahead.This news bulletin grasps many people attention on start investing in vacation and home rental business. Final Bite Google commits heavily for revenue on vacation rental listings, this scenario skywards vacation rental market as the resounding business.So, starting a vacation rental business like Airbnb will be a healthy investing medium for entrepreneurs and business magnets.